Aren’t those the prettiest heirloom cherry tomatoes ya ever did see? Back in January I picked up a Braun juicer at a local thrift shop. Here’s a picture of the bad boy. He’s older. But I’m cool with that. He gets the job done and personally, I love his avocado green accents. As I do with many of my thrift shop finds (like that hand-crank meat grinder), I put Mr. Braun away for a rainy day. One such rainy day in June it was time. Time to give this beast (actually, he’s nice and compact) a run for his money (I dropped a whopping $9 for him). And well, the timing couldn’t have been better. Farmers markets were in full swing, brimming with fresh produce for my experimentation. Over the course of the summer, Mr. Braun and I have fallen in love. And below is the juice “recipe” that sealed the deal. 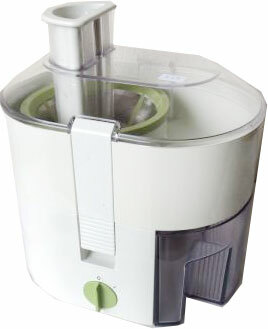 If you’ve been considering a juicer, check your local thrift shops or Craigslist. I was able to give juicing a try without breaking the bank. In time I may fork out more for a higher-end machine, but for now Mr. Braun’s serving me well. And wait ’till you see my next post. I’m juicing something rather out of the ordinary and I will share with you what I made. I know, the suspense is just killing you. Ha! Got a favorite juice recipe? Leave it in the comments, I need more inspiration. wow Spicy Vegetable Juice look so healthy. I would love to try this fantastic recipe! Thanks for this info! I love a good drink with a kick! 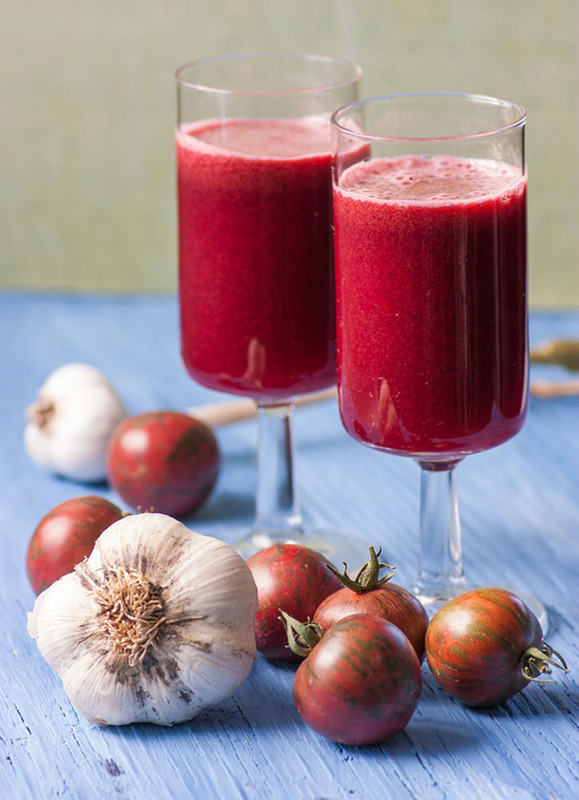 This fresh juice looks fabulous to give a great energy boost to my day. Thanks Lexie! Ooh, I wonder how this would be with noodles. Growing up our favorite comfort food was spaghetti with v-8 juice. I am obsessed with my juicer but for some reason I haven't yet made a juice with tomatoes! Even though I LOVE tomato juice. I think I need to change that today. This looks amazing and the color is absolutely beautiful! Thanks for sharing.